One of the more popular features of the iOS version of our mobile smart siddur are smart notifications. 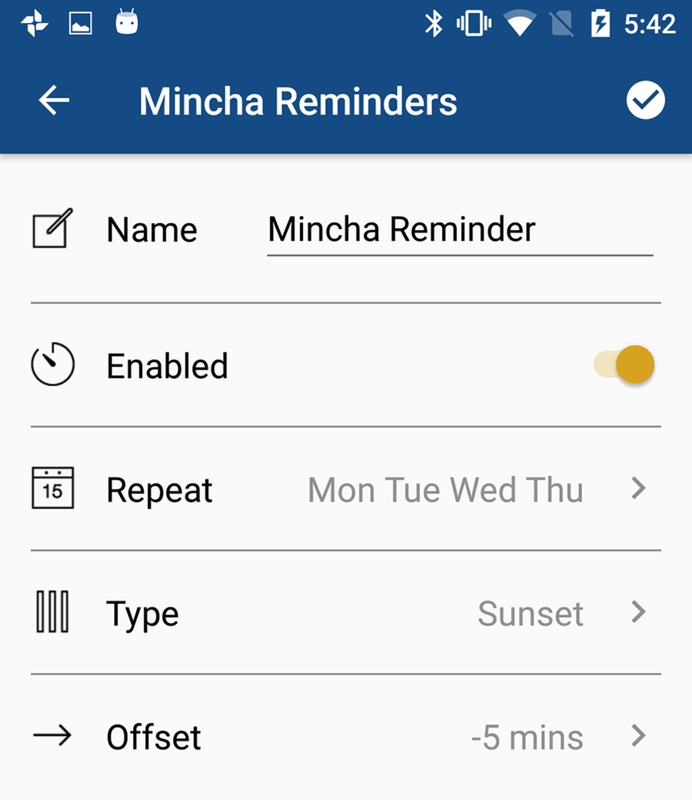 These smart notifications let you set reminders around Jewish events and times throughout the day. 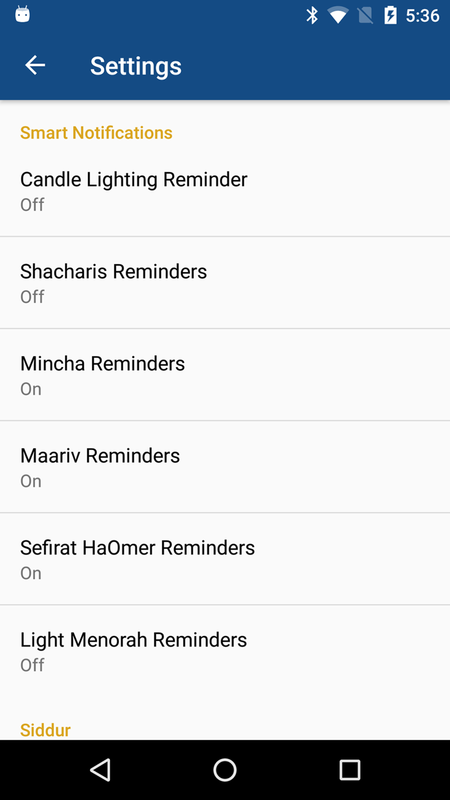 Such as remind me to pray mincha (afternoon) services X minutes before sunset. Or remind me to light candles before Shabbat starts. Also reminder me to count Sefirat HaOmer after it gets dark at night and so on. This has been a feature on the iOS version for a couple years now and it is now available for Android users of our Siddur app. When you click on one, you are given a screen on how you want to confirm it. 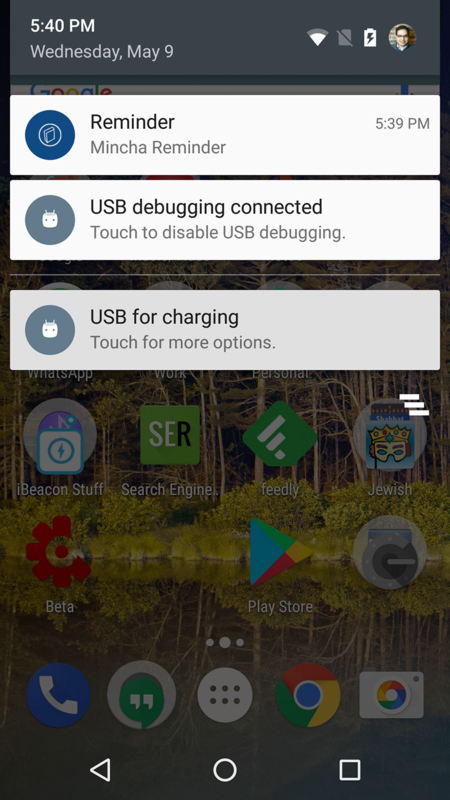 You give the notification a name, you can turn it on or off (enable), set how often you want the notifications to repeat, and then if you want the notification to be a fixed time of the day or based on an offset of sunrise or sunset. After you configure how you want the notifications, it will notify you via push notifications locally on your device. I hope you like this upgrade to the Android version of the Siddur App, again, this is now available not just on iOS devices but also on Android.